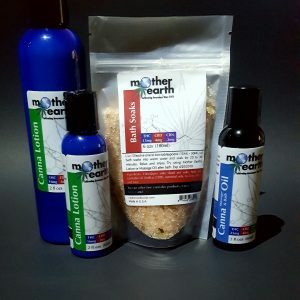 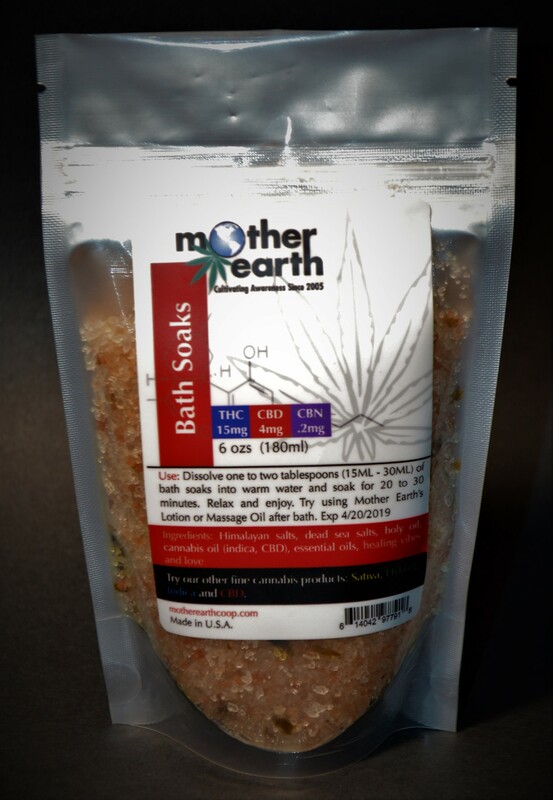 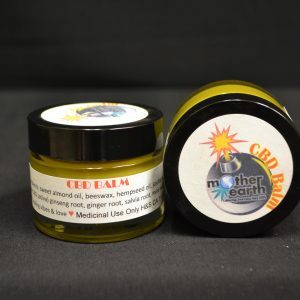 Mother Earth Bath Soaks: Our soaks are created with Himalayan salts, Epson salts and Dead Sea salts infused in Mother Earth Holy Oil, Cannabis Oil (Indica CBD) and a refreshing proprietary blend of essential oils. 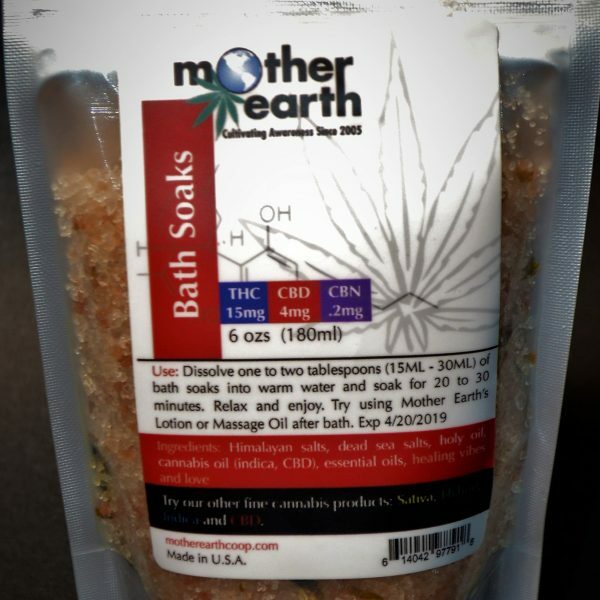 Soaking at least once a week for 20-30 minutes draws out toxins, lowers stress and helps balance pH levels, leaves skin clean and body feeling deeply relaxed. 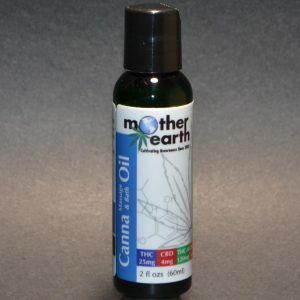 Great for joint or muscle pain & tension, cramps, sleeping and arthritis just to mention a few. 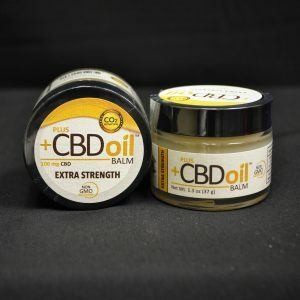 Pour about 2 oz. 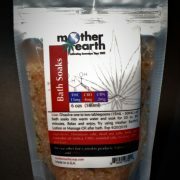 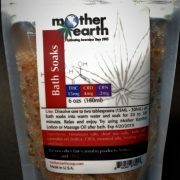 of bath soaks into warm water and enjoy your soak ~ 6oz medicinal zip lock pouch.